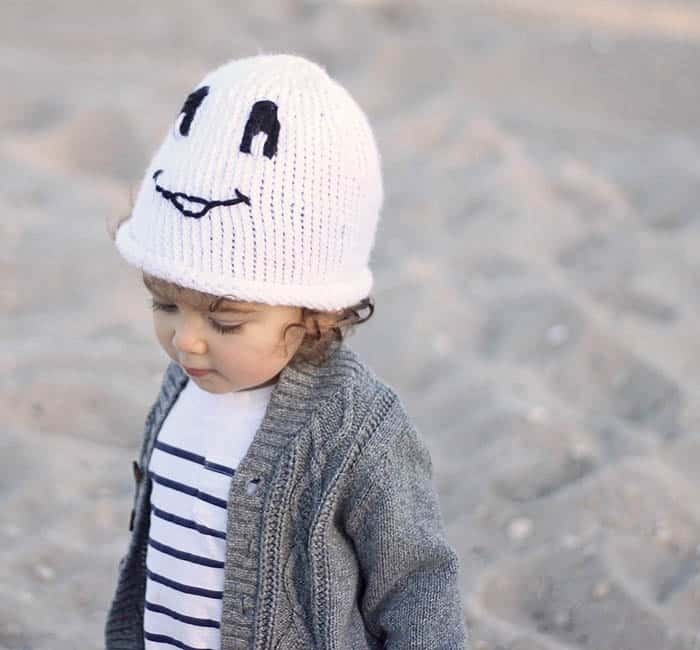 This season I’ve made a knitting pattern for a baby Pumpkin Hat and Candy Corn Hat so obviously, a Friendly Ghost Hat Knitting Pattern was next! 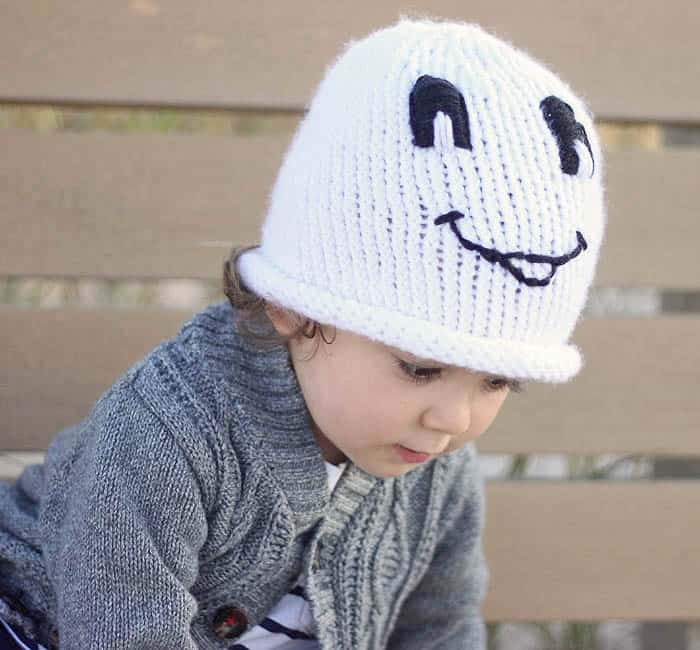 This is a basic beanie with a rolled brim which I thought kind of mimics a ghost’s shape. 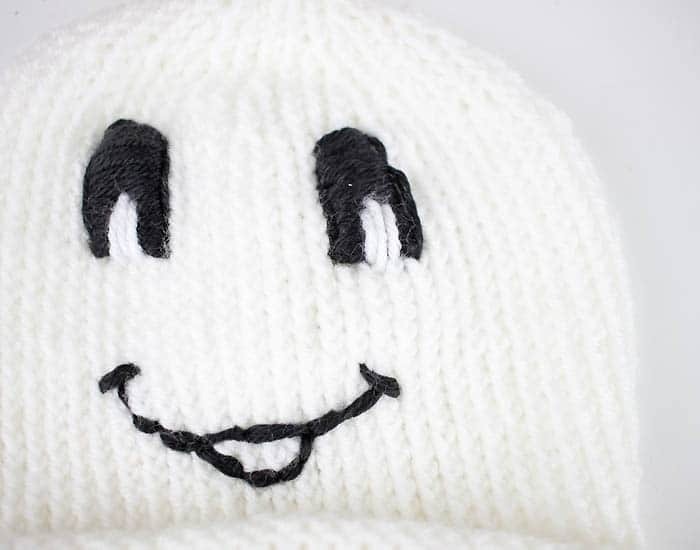 I took the easy route with the face and embroidered it on after I was finished knitting. Hope you like it! 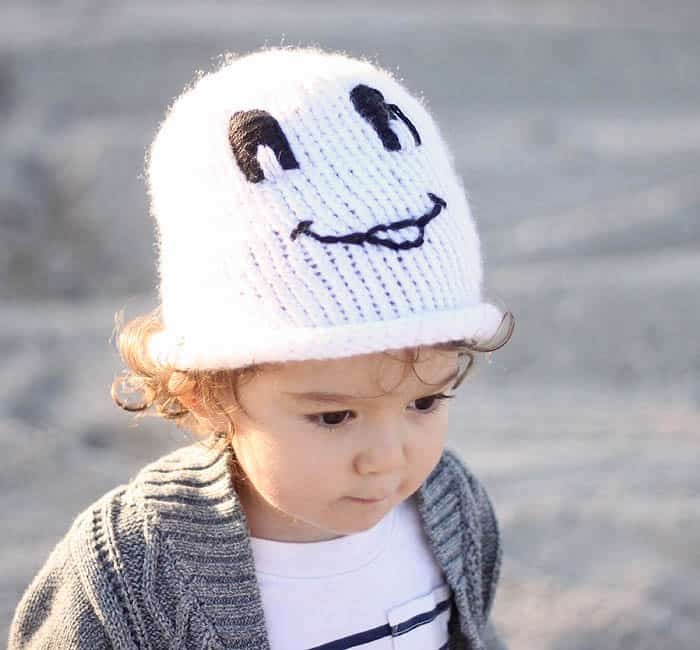 Cut yarn, thread through remaining stitches and pull to close. Make a knot and weave in ends. I marked the eyes and mouth off with dressmaker pins first so I would knot where to stitch. The eyes begin 5 1/4 inches up from the brim of the hat. They are 1 3/4 inches high and 2 inches apart from each other. After I filled in the eyes with the black yarn, I went in with the white yarn to add pupils. 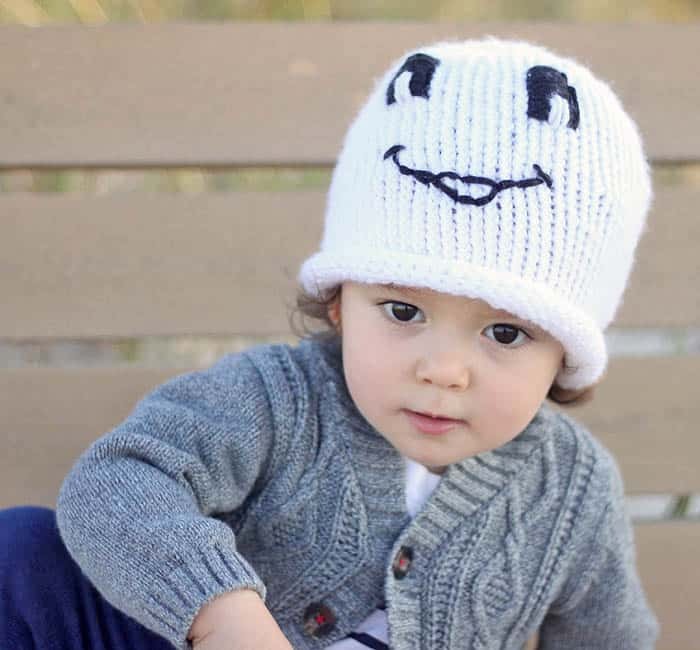 The mouth is 3 inches wide and the bottom part is 2 3/4 inches up from the brim of the hat.